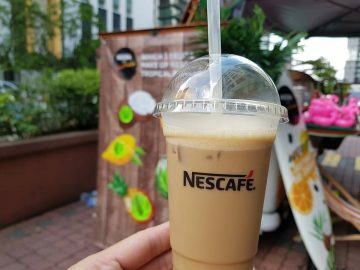 Nestle Malaysia has introduced Nescafe Latte Tropical Paradise, a new instant coffee offering the rich taste of coffee without the bitterness. 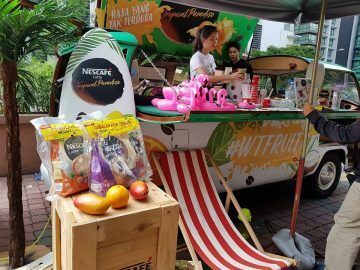 The premix coffee is rich and fruity with orange, mango and coconut flavours, ideal for non-coffee drinkers. 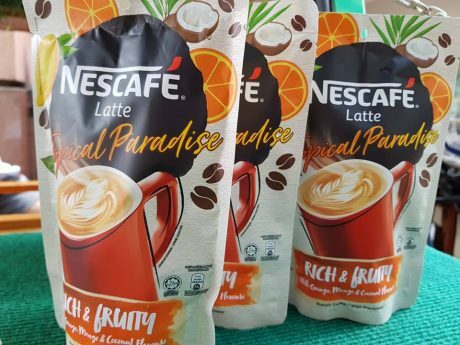 Nescafe Latte Tropical Paradise (5 sticks) comes pre-bundled with the Nescafe Latte range (20 sachets), which targets the same group of consumers – the non-traditional coffee drinkers but someone who is keen on non-bitter, aromatic coffee such as hazelnut, caramel and mocha. 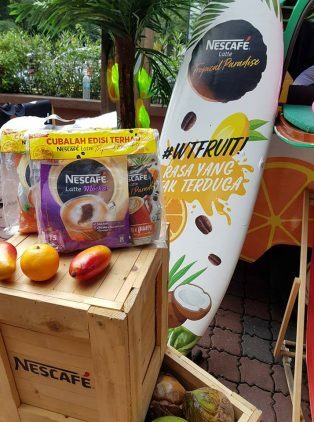 The good news is Nescafe Latte Tropical Paradise can now be bought online as a standalone product at the Nestle official stores on Lazada and 11street and it comes in an affordable price of RM 4 for a pack with 5 sticks.